Accreditation Works, and Works Again | CALEA® | The Commission on Accreditation for Law Enforcement Agencies, Inc.
CALEA Accreditation is not an easy process. However, accreditation is a very valuable one, and we consider it an essential one. It is the on-going process itself (not just “being accredited”) that provides the most significant benefits to the department. As a chief coming from the “outside” twice in my career, the knowledge gained from becoming accredited has been essential to me each time. Verifying that all policies and procedures meet national standards provides confidence that potential liability against my personnel and city has been reduced. In each agency, being accredited proved that we had attained a level of excellence while finding efficiencies that helped provide better service. 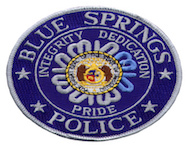 In 2003 (while still in my “honeymoon” phase in a new agency) we began the process of re-writing every policy and procedure in the Blue Springs, Missouri Police Department. The CALEA accreditation process provided a solid framework for our new General Orders, and using the standards numbers as our actual order numbers worked well for us. In 2005, we received “Recognition” under the old format and then became CALEA Law Enforcement Accredited in 2006. We were at the top of the policy world, and immediately began preparation for the inevitable and dangerous re-assessment to come. However, with a tough economy and a shortage of manpower pressing in, the surprise hurdle for us came when a task force recommended ending our participation in accreditation due to cost. We had to suspend our participation in the process pending a review by a soon to be created permanent public safety board. We quickly learned two important facts. First, since we thought that the benefits of the accreditation process were obvious because of all the improvements we had made, we realized that we had not done enough to educate our community and officials on its value. Second, we found out that it is a lot harder to stay current in training, policy updates, outreach and quality control if you don’t have an on-going need to prepare for future on-site reviews. Once the temporary task force had ended, the permanent Public Safety Citizen Advisory Board was created. This body was charged with the task of thoroughly vetting the decision whether or not to participate in accreditation. Our commitment to the process had never wavered, and once they evaluated all the factors, the Board recommended our re-entry into the CALEA Accreditation process. With that support, our personnel refocused efforts through a newly designed, more inclusive process (we now maintain a voluntary accreditation team that includes approximately 15-20 members) and once again became accredited in July 2012. The real benefit for the Blue Springs Police Department is the day-to-day focus on ensuring we do things the right way that accreditation requires. In addition to the obvious benefits – liability protection, organized training programs, consistency and fairness in policy – the knowledge that maintaining accreditation best practices places our department as one of the elite is a source of pride for our community and our personnel. For me personally, accreditation is a test of being the best. We do not want to just “audit” a course; we want to be on the honor roll. Many agencies (and many chiefs) spend time reacting to brush fires when they should be focused on long-term planning, organization, and maintaining high quality service for the community. Through our CALEA Accreditation process, we focus on being the agency that provides consistent quality service over time and anticipates the future.